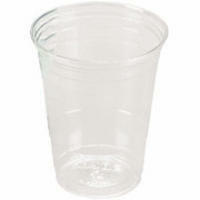 We offer a 10 oz Clear Plastic Cup. Perfect with ice or without. Great for Soda and Water. Very economical.